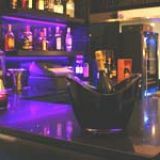 The LV Lounge (Little Venice Lounge), is an exclusive bar that is cosy and intimate and has a relaxed ambiance. They serve a selection of Old and New World wines alongside an extensive choice of cocktails. What did you think of LV Lounge? 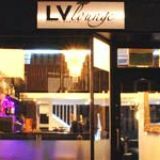 The LV Lounge is a nice little place, it is the stand out cool place in Maida Vale as far as I am concerned. 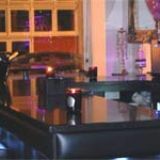 The choice of drinks is extensive, the staff are very nice and it is full of nice people. brought a date to the LV Lounge and she loved it, especially the cocktails. Perfect intimate setting. Love LV Lounge, lovely selection of wine and cocktails. 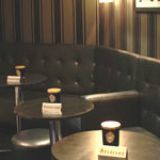 LV Lounge is a cozy venue with gorgeous cocktails to boot! Good cocktails, nice vibe, very small bar but nice and cosy. LV Lounge is a great place in Maida Vale, lovely cocktails. LV Lounge is the reason I have to get a membership at the Bannatyne gym!! I love the cocktails a little too much, I know that they are not good for you but the problem is they taste too good and they have a huge list to choose from!!!! LV Lounge is lovely lil quaint bar in Maida Vale. LV Lounge is lovely lil quaint bar with amazing cocktails! LV Lounge was a good place to take my girlfriend on date with its intimate atmosphere and good cocktails. LV Lounge serve up some gorgeous cocktails and its a nice cozy venue. 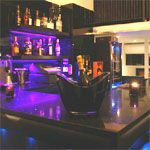 LV Lounge is a cosy place for a drink after work. LV Lounge is a lovely place for after work cocktails and the staff are friendly as well. love the LV Lounge, great place and great place to go for a good cocktail. Love the LV Lounge, me and friends always come here for a cheeky couple after work.